Tantabiddi Camp Out Jan 4th-6th, 2019. Stay at Yardie Homestead Friday and Saturday night. (or arrive earlier in the week and stay longer!) Camping is free and/or cabins are discounted for anglers. Presentation at Exmouth Game Fishing Club Sunday night. 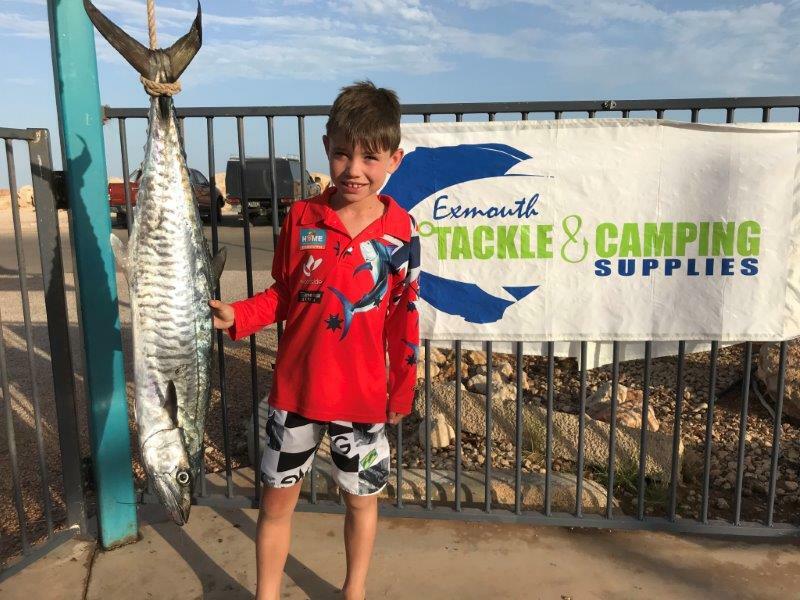 Thanks to Exmouth Tackle and Camping and Yardie Homestead for helping continue this great summer comp. Adult team-Snag and Hookers 41 species!!!! a new record. 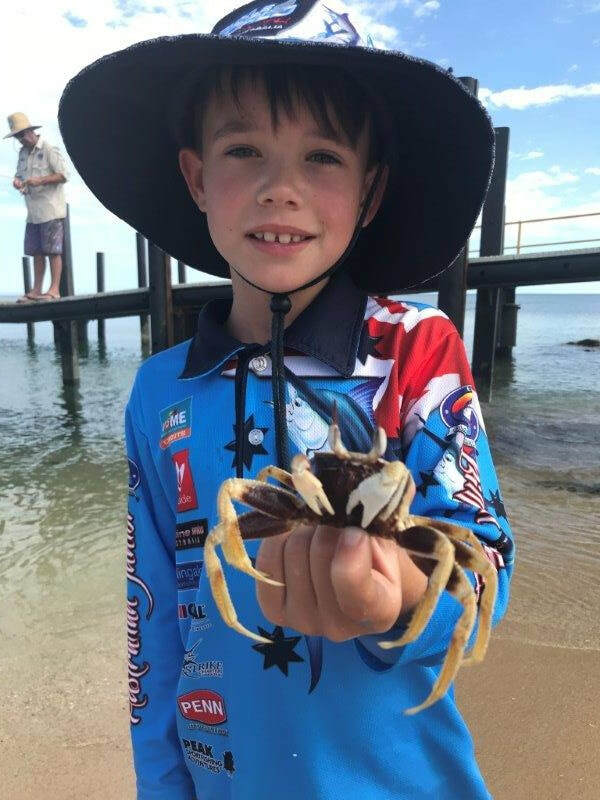 Congratulations to all the anglers for having a crack at one of the most fun-filled competitions on the EGFC calendar. 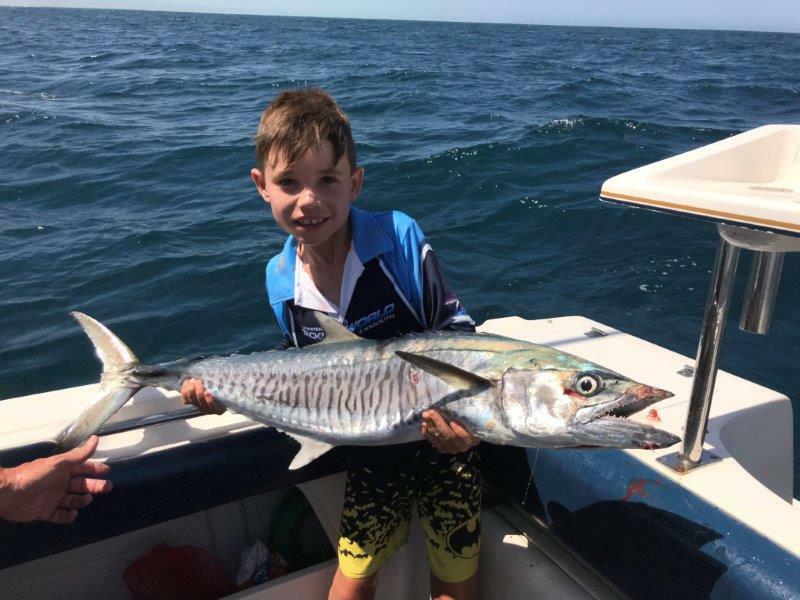 Many thanks to Exmouth Tackle and Camping, Oztrail and Yardie Homestead for helping make this event. Plus, we also thank the volunteers who help put it all together. If you haven't booked for next year already, we suggest you do. The Tantabiddi Camp Out is on Jan 5th-7th, 2018. Come out and enjoy one of the most relaxed events of the year at Yardie Homestead. All holiday cabins are 10% off and camping is FREE.....................! Book ahead, as it gets booked out. Call in to Exmouth Tackle and Camping to enter. 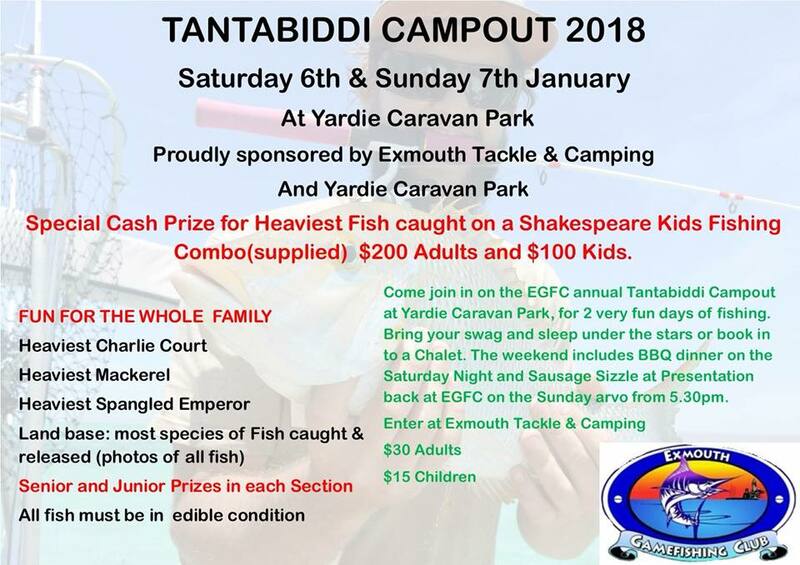 The Tantabiddi camp out is an annual relaxed fishing event that many locals enjoy at Yardie Homestead caravan park. The weekend is very casual with lots of swimming, cricket, socialising, relaxing and fishing. This year Riley Smith took out the heaviest Charlie court, while Jake Fitz and Daniel Charsley took out the hotly contested section of most species caught and released with a photo from the shore. The two boys managed to get 23 different species, which is a great effort for the 2 day event. 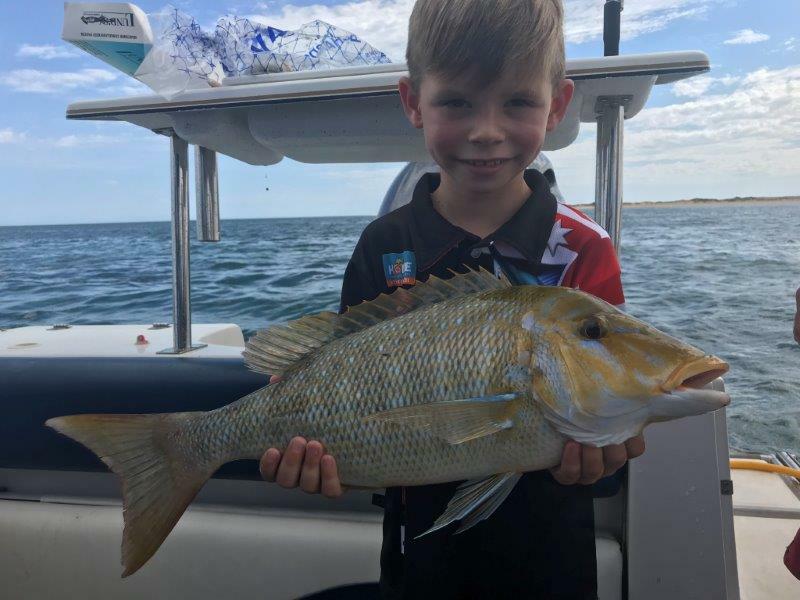 The other prized section is the heaviest fish caught on a kids combo. 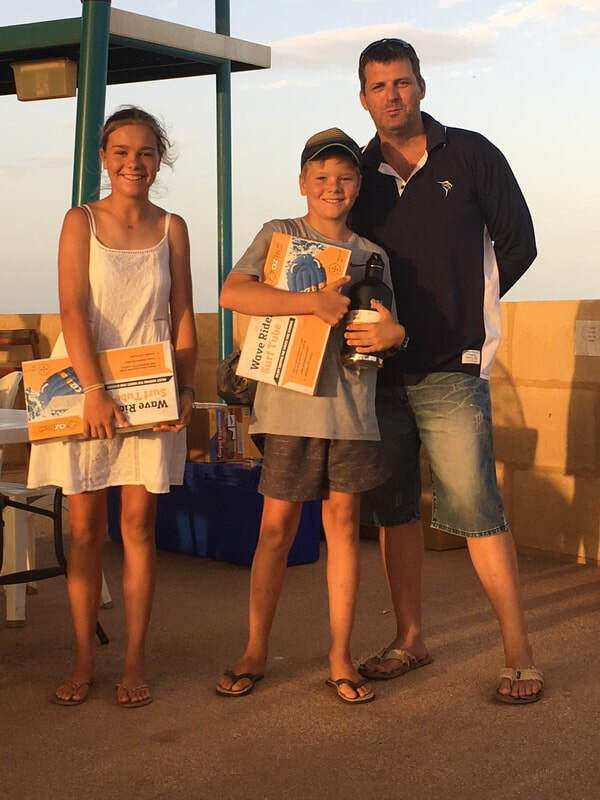 Kurt Decker took out this adult section with a 3.6kg spango and Riley Smith took out the junior section with a 1.65kg mackerel. Each participant is given a kids combo when they enter, plus two meals, which is great value for just $30. It is also a weekend that Yardie Homestead offers free camping and discounted rates on accommodation for entrants. 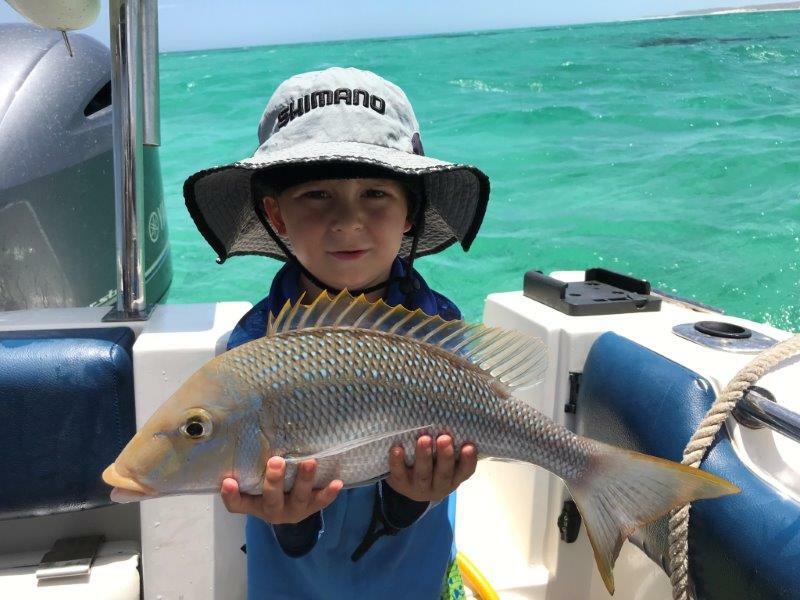 Thanks go to Exmouth Tackle and Camping and Yardie Homestead for yet another great event. 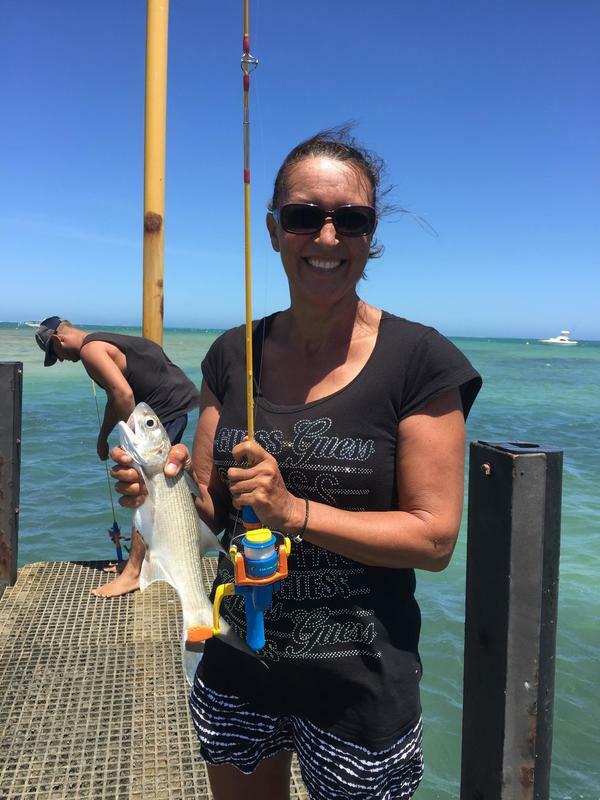 PIC: Visitor Kim Hall had a ball catching everything from salmon, bream, flathead, flag and all sorts during the fun weekend at the Tantabiddi Camp Out.